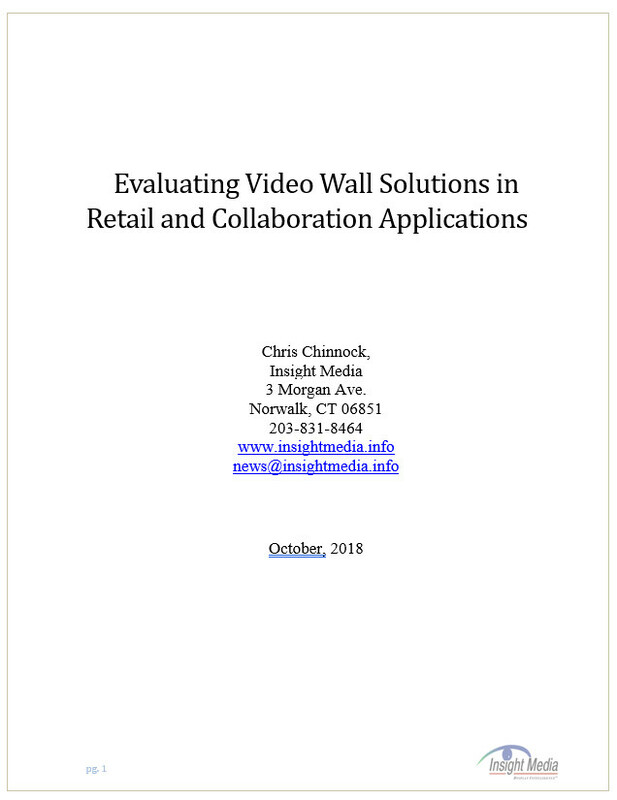 Oct. 1, 2018 – Insight Media has just created a new white paper titled “Evaluating Video Wall Solutions in Retail and Collaboration.” It can be downloaded for free with a registration at this link: https://tinyurl.com/y8m2muwn. In this white paper, we look at some video wall options from the perspective of the buyer for retail and collaboration room applications (such as a briefing center, board room, or large conference room). Typically, such a buyer would have a choice of an LCD-based or LED-based video wall solution. In this paper we explore these options, as well as the Laser Phosphor Display (LPD) solution from Prysm. The latter is included as it offers a number of advantages and is not as well-known as the former. To evaluate the display solution options, we should first start by stating the mock requirements of our two applications. We then evaluate each of the three technology solutions to determine “ratings” over a number of technology specifications. These are summarized in the executive summary section with detailed analysis to justify the rating in the balance of the white paper. Buying a video wall solution can be a daunting process. 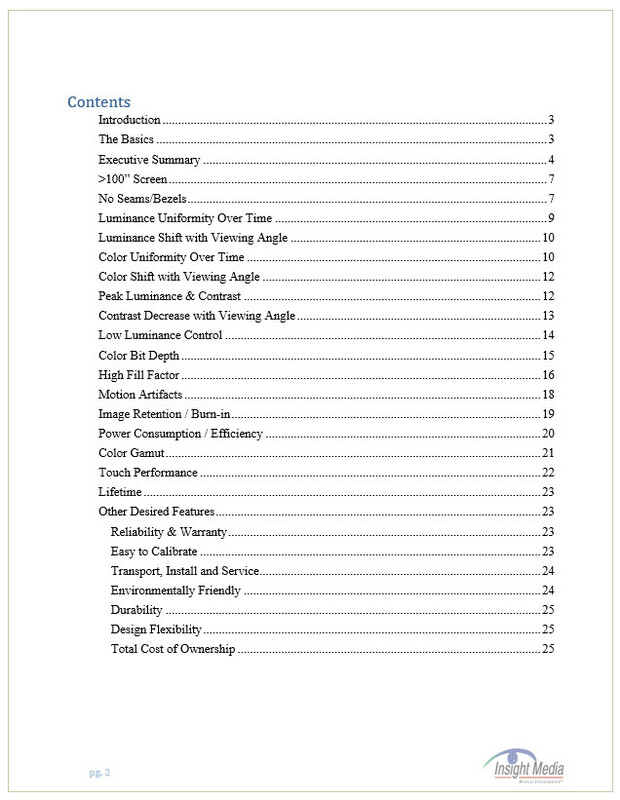 We hope this paper can provide some guidance in helping you understand all the factors, features, and specifications that should be considered in the purchase decision for large format video walls.